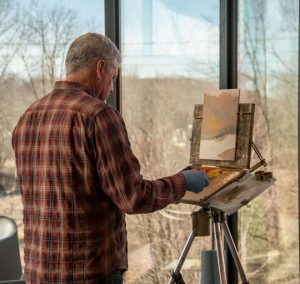 Some painters, such as Kirk McBride stayed indoors, choosing to paint the outdoors from the warmth of the Brandywine River Museum of Art. 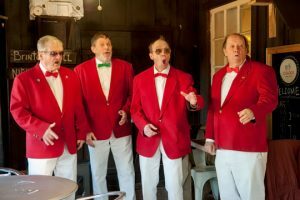 There was a little something for everyone Saturday, from plein air painting to polar plunging and a little bit of singing. The Chadds Ford Historical Society held it’s 11th annual plein air fundraising event in which painters — some anyway — brave the elements and paint local scenes. 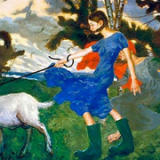 Artists brought their finished works to the society’s Barn Visitors’ center for a reception Saturday night. The exhibit is on display and paintings are up for sale at the center through March 15. 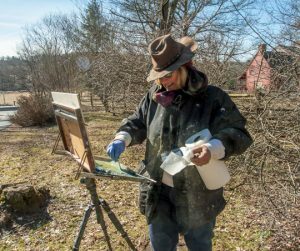 The more traditional plain air painters, such as Jaclyn Beam, braved the elements for their art. Beam was instrumental in starting the plein air event in 2009. 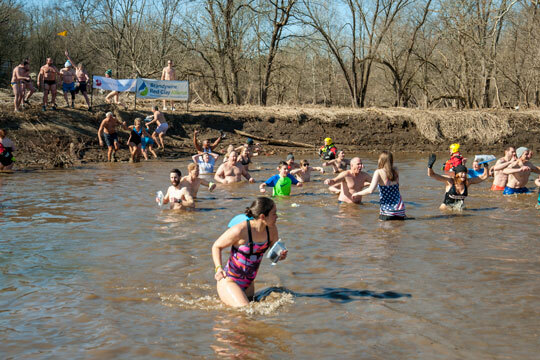 For the braver at heart, there was the 11th annual Polar Plunge at Lenape Picnic Park. Participants braved 40-degree water temperature and air temperatures in the 20s. With the wind chill, the air felt like 14 degrees. 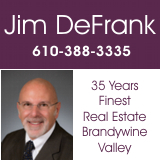 Since 2008, the event has raised $150,000 for the Brandywine red Clay Association to protect and preserve natural resources, specifically the water quality of the Brandywine Creek. 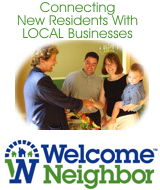 In additi0n to providing habitat for fish and other wildlife, the creek is also part of the drinking water supply for Wilmington. Ed Instead performs at Chadds Café where patrons chose hot coffee over cold air. 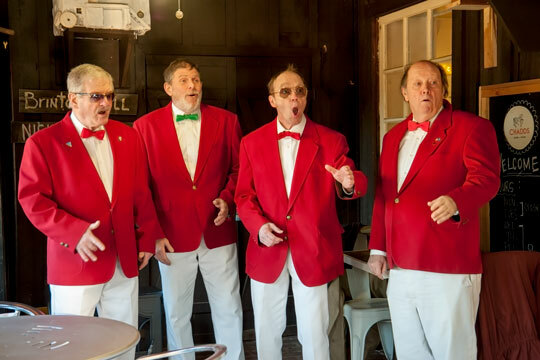 And for those who wanted a more passive time, the Chadds Café at the Barn Shops in Chadds Ford offered some live entertainment, the Barbershop Quartet of Ed Instead.